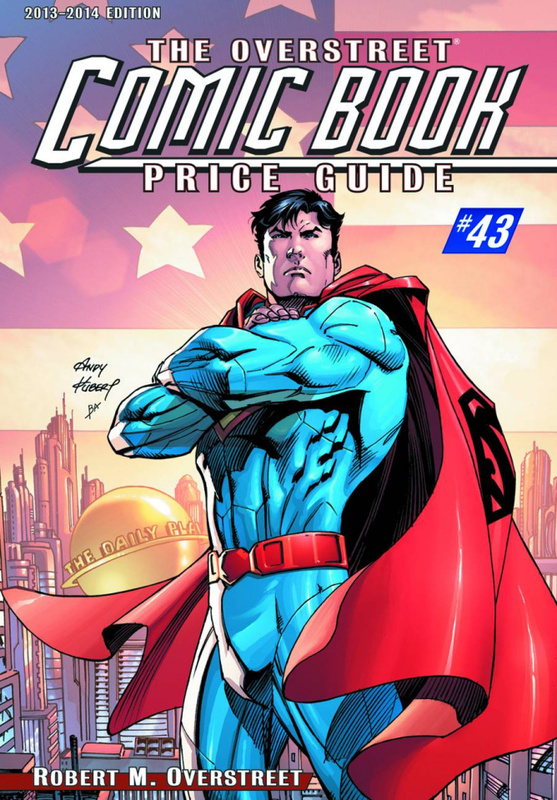 In addition to being the preeminent source of comic book pricing information for more than four decades, The Overstreet Comic Book Price Guide features a ton of other data as well. With 300,000 prices, all new market reports, celebrations of Superman's 75th anniversary, the X-Men's 50th anniversary, The Walking Dead's 10th anniversary, a look at the work of Overstreet Hall of Fame artist Mac Raboy, and more, readers will get a first hand look at what has made the Guide the definitive guide for collectors and dealers alike since 1970. Volume 43 is available with either a PREVIEWS Exclusive Superman cover by Andy Kubert or an X-Men cover by Mike Deodato, Jr.! Please note: the hardcover editions are printed very close to order.